In 2016, Kris Riot (Cinekod x bassist) decided to write a personal album. 12 songs (4 instrumentals) are under work to complete a new Journey to the great unknown. 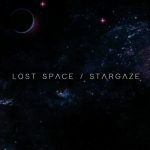 A debut alternative album with post rock & shoegaze influences complete the new project album called «Stargaze». Kostas joined the band on drums & Nick on bass. Now that the wolfpack is complete, soon we ‘ll see the light.